The Ghost drone is ready to fly straight out of the box. No need to even attach the propellers. Just charge the battery, sync your phone and you are off. It is really easy to fly, mainly because you don’t necessarily fly it. Everything is operated through an app, for both Androids and iPhones, that has buttons for take off, hover and landing. 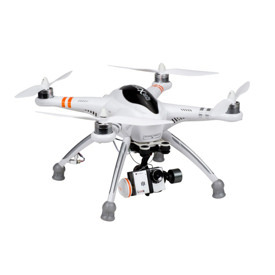 It comes with some great functions like Follow Me and Programmable flight paths. You don’t even need to program the flight path, you can just tap the map on your smart phone and it will move to that spot. 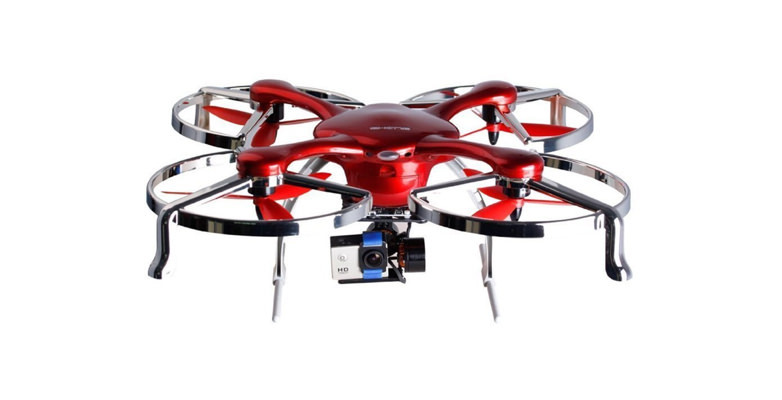 The most impressive thing about this drone is how much wind it can handle and still remain stable. Ehang claims that it can hold up in up to 20+ mph winds. Ehang’s Ghost drone comes in three different models. They are all the same drone, just different accessories. 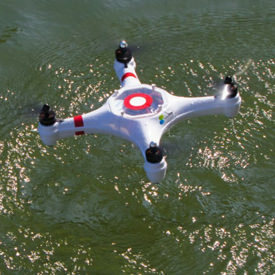 The Ghost drone is probably the easiest UAV to fly on the market. Everything is controlled from a very easy to understand application that you download to either your smart phone or tablet. The picture above is a screen shot of the app in action. 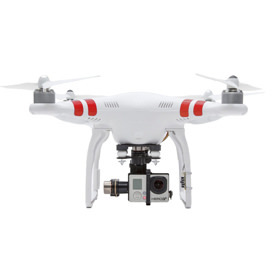 There are buttons that will make the drone take off and land, return, set it to hover and follow. The app also has a very polite female voice to let you know everything that is going on with your drone during the flight. She will even warn you of a low battery. 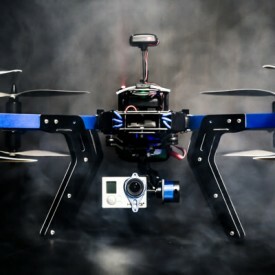 If the battery gets low or if the signal to your iPhone or Android phone is lost, the Ghost drone will return and land. Great for preventing fly aways. 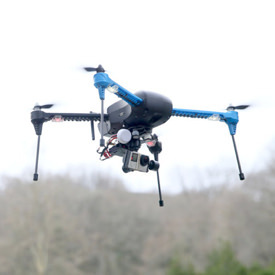 You are able to “free fly” with the Micro-Control, but it’s nothing like having a remote control transmitter. 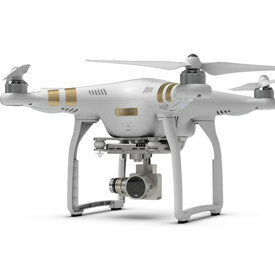 Don’t let that deter you though, this thing is very functional as an aerial photographer. Be aware that the Ghost Drone does not come with a remote control. Ehang provides the app for your phone at no additional cost. For Apple product users you will need an iPhone 5 and above, iPad 3 and above; operating system requires iOS 7.1 and above. For Android devices you will need Android 4.0 or newer. The main issue with only having an app to fly your drone is if the app software ever becomes unstable and keeps crashing. This will ground your Ghost drone, possibility for good. Not cool. I’ve also heard reports of people having issues with binding their phone to the G-BOX, but Ehang has been quick to assist. Ehang gets great reviews when it comes to customer service. The battery in this drone is a beast. Ehang claims it’ll last 20 minutes, but I’ve seen it last nearly 24 minutes (no wind and no gimbal or camera attached). Add the gimbal, the camera and some strong wind and you’ll probably end up a bit south of 20 minutes, which is still awesome. Buy an extra battery and you’ve got some serious flight time. Another stunning aspect of the Ghost drone is its tolerance to wind. 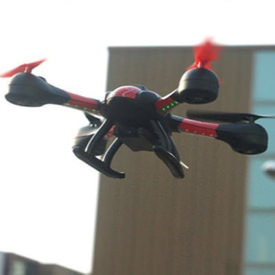 This little guy can handle wind speeds of up to around 20 miles per hour. That’s incredible for a drone this size and weight.